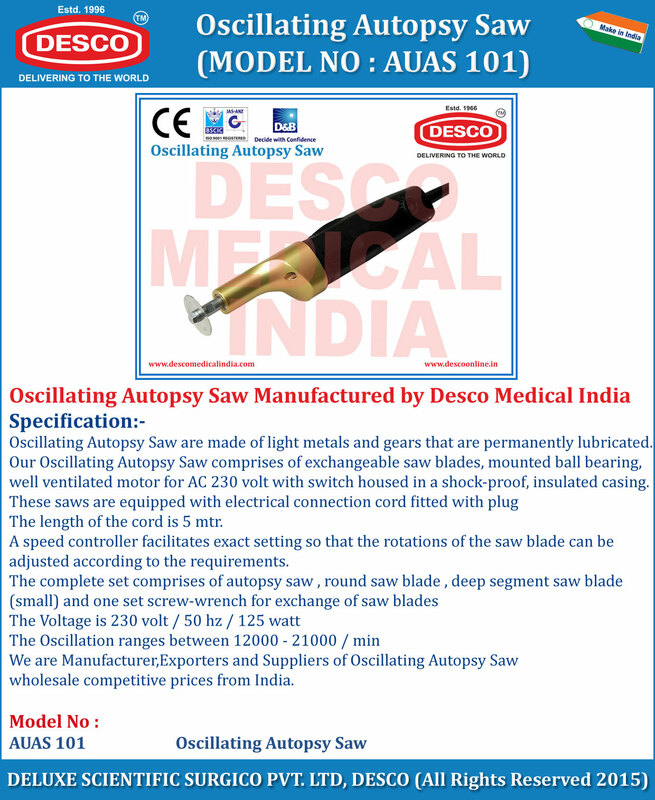 Our Oscillating Autopsy Saw comprises of exchangeable saw blades, mounted ball bearing, well ventilated motor for AC 230 volt with switch housed in a shock-proof, insulated casing. The length of the cord is 5 mtr. A speed controller facilitates exact setting so that the rotations of the saw blade can be adjusted according to the requirements.